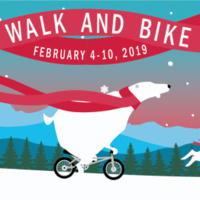 CU Boulder will be participating in the international Winter Bike to Work Day challenge on Friday, Feb. 8, 2019. Help put Boulder on the global stage and show your local support for bicycling and walking! Commit to ride now on winterbiketoworkday.org . You only need to fill out where you'll be riding to. Visit Go Boulder's website for a full list of events in Boulder.